After a very successful two years of operating the Cotswold Lion Café, the Conservation Board is looking to appoint a full time Café & Retail Manager to help build upon that success. The closing date for applications is 10.00am Tuesday 5 January 2016. Interviews are scheduled for Monday 11 January, with the post commencing as soon as possible. For details and an application form, visit: http://www.cotswoldsaonb.org.uk/conservation-board/job-vacancies/. The advert and complete job description are also attached below. The National Trust is recruiting for a new part-time (3.5 days/week) Business Support post to be based at Sherborne. The post is a fixed-term contract running to March 2017. The link to the job details is at http://tinyurl.com/nuzhek7 and it is also advertised on Reed at http://www.reed.co.uk/jobs/business-support-co-ordinator-administration-/27684233. The deadline for applications is 19 August. 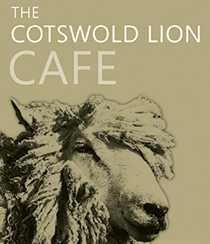 The Cotswold Lion Café is looking for café staff to become part of its friendly team at the Cotswold Lion Café housed in The Old Prison, Northleach. Previous customer service experience is preferred; if you do not have the experience but have a great attitude you will be considered. Hours can be very flexible; the café is open between 9.30am – 4.30pm, closed on Monday during the winter months. The role will include but not be limited to serving customers, organising stock, maintaining the overall appearance of the café and assisting with events as and when required. This is a great opportunity for someone who wants to develop their customer service skills and who enjoys meeting new people daily. The Cotswold Conservation Board is recruiting for a full-time administration assistant who will be based at the Old Prison in Northleach. Please see the full details attached. The closing date is 10am on 2nd February.